Back years and years ago I worked in a recording studio. It was pretty much rented out by one producer every week. Back in the early 90s Michael Omartian worked with a lot of Christian musicians, and most of them came through the studio I worked at. He taught me a lot about how to create creative sessions. He had this way about him. He was relaxed but confident. He found a way to relate to every person he worked with, and then when they were relaxed, he would get amazing performances out of them. If artists came in unprepared, he worked with them until they were ready and confident. To the casual observer we were often wasting time. I remember working the the group 4 Him. It was about to be baseball season. The studio was located on a farm with a lot of space, so we would come in and play baseball for a couple hours before getting down to work. I remember marveling at the length of time we spent playing ball versus recording. But even though we spent a long time playing, when we did get to work we got a huge amount done in a very short period of time. We got more done in a few hours than some session did all day because the musicians were in the right frame of mind to be creative. Omartian didn’t use the studio every single week, and one time another producer came in working on a project. We were doing guitar overdubs. This producer had a very different style. He was very technical. I remember one part of the song we did over 20 takes. When the player finally finished, the part was technically perfect, but devoid of any feeling. The whole session was torture, and it didn’t have to be. People are more creative when they are relaxed. Every person is different, and you need to find out how you work and how they work and how you can best work together. If you figure that out you can do some great work together. If you don’t, you may be able to get some work done, but it won’t be as good or enjoyable. Yesterday Apple released the latest version of Final Cut Pro. There was a lot of trepidation about this new version. The previews showed an editor highly influenced by iMovie. But one that showed real promise in moving FCP in a new professional direction as well. Some of the new features are very appealing. FCPX is no longer part of Final Cut Studio, and is only available through the Mac App store for $299.00. New versions of Motion and Compressor are also available for about $50 each. That is a significant price drop. And based on reactions from many, it will be necessary. A lot of old FCP users are not happy with the new version. I have heard conflicting reports that FCPX will update your old FCP. one said it would install alongside it, another said it wiped his previous version out. So be careful. you may want to take steps to protect your old version and projects. Mainly because the new FCPX will NOT open older FCP projects. If you ever need to get at those old files, better preserve your current version of FCP. In addition a lot of professional features are missing, according to some. As I write this, the Mac App store listing shows the star ratings, but does not show any reviews of the new version. Odd since I know that (negative) reviews have been written. Some people will say that this is the first version of a whole new platform. Sure, but don’t call it Final Cut Pro. Using the FCP name gives the impression that it is actually a FCP product, when it seems to be an entirely different application altogether. Leaving out those features is inexcusable for a new version of FCP, but would be no big deal for a new product. But the reality is that Apple did label this as Final Cut Pro. So if you upgrade, be sure to be be aware of the issues. At this point, I will wait until FCP 11. All across America this weekend men will attend church. And most will leave a couple hours later after being beaten up about the state of American fatherhood. What, did you think this day was in honor of you? No. At best it’s an excuse to eat a big steak. And you deserve it after being told that all of America’s problems are your fault, ’cause you are not getting it done as a dad. Last month we celebrated Mother’s Day. Many churches gave out flowers, and talked about how much we love our moms. Years ago, lots of ladies hated Mother’s Day. But now churches have taken steps to make them feel appreciated. They have special prayer for those couples who want kids, but have not been able to conceive. They have special moments for birth moms and adopted children. They honor mothers who have died. And they never, ever mention Proverbs 31 and the Ultimate Mom. But it’s open season on bad fathers. Let me be clear, being a father is a huge responsibility. And we do really stink at it overall. We are failing. But is taking one Sunday a year to drive that guilt home going to actually change anything? If fatherhood is a big deal (and it is) shouldn’t we talk about it more than just one Sunday in June? Is one sermon a year going to fix anything? I know why there is a difference in sermons between Mother’s Day and Father’s Day. Every pastor has a mom. They know what moms mean to their kids. Their personal experience leads them to naturally celebrate motherhood. But many pastors are also fathers. They know from personal experience how easy it is to fall short, even when you try hard. So they feel like they do not deserve praise, and have a hard time spreading praise about fatherhood around. But for most of my life I have heard ought-to-be-better Father’s Day messages, and the world isn’t better for it. It’s obvious that society’s father-woes won’t be fixed by dumping on dad once a year. Maybe we should change tactics? Pastors, I know it’s late in the game for this year, but as you plan for next year’s Father’s Day how about spending more time honoring what is good about dad than you do harping on what is bad? Let’s celebrate the good dads. Highlight successful fatherhood. And let’s do it throughout the year. I jumped in. A friend of a friend is a developer for iOS, and he had a couple extra device spots for a beta tester, so I signed up. I upgraded my iPhone 4 and iPad (original) to the iOS5 beta. It took me all of half a second to decide to do it. Now, a few days in, I can tell you I will never be so fast to jump in again. At least with my iPad. I just need to know the apps on there work. I lost several apps that are key to my work flow. I don’t have to have most of them on my iPhone, but I use them on the iPad daily. I don’t blame the app developers (And I for sure don’t go post negative reviews on the app store about it! ), they should not have to support a beta software. That’s why it’s a beta. I should have updated one and not the other. But I wanted to play with iMessage and sync docs back and forth through iCloud. But my iPad isn’t a toy. I use it for work. Suddenly key apps did not work. I know that they will work again, but for now I’m out of luck. I am waiting eagerly for the next version of the beta, hoping it magically fixes these important-to-me apps. Take it from me, rushing headlong into beta testing is not smart. Now running it on my iPhone, that is another story. There is something narciisiticlly nice about being the center of attention. People gather around as you demonstrate the features they have been hearing about in the newest version of iOS. They cannot get this new thing for months, but they want it and you have it. There are enough parts of the new beta working that you can show it off, but just be sure not to expect glitch free bragging. Invariably, something will drop. That’s OK, this is a beta. It’s not supposed to be perfect. And it is cool. One of the reasons I wanted to do this is to use the features mentioned in the keynote. iOS5 is going to be amazing. I would go on about how cool it is, but I don’t want to say too much. The Non Disclosure Agreement is pretty intense. I don’t blame Apple. Beta software isn’t perfect, and no company wants people complaining about what may or may not be working. So, I won’t be talking much about it, even though some blogs feel free to say plenty. In the meantime I eagerly await the next version of the beta, in hopes that my summer won’t be completely jacked up by my impetuousness. I’d roll my iPad back, if I could. But, in the meantime I wait, and use alternative apps to get my work done. Oh, and enjoy a great new iOS from Apple. Have you ever worked at a place where information was power? Ever find yourself falling into that mindset? By holding information close, you get to be the one to make decisions. Only those who “know” can call the shots. Asking for help is a sign of weakness. Oh, you may try to cover it up. You may defend keeping things close to the vest because you don’t want to worry others, or burden them with this decision. Stop acting like this is some gallant gesture on your part. It’s fun being in possession of more information that others in the organization. Meanwhile those who are probably most affected by any decision that may come from this information are destined to be caught off guard, surprised when it all comes out. Or worse, when you do share you only give out enough information to get the job done. You hold close the details like they are secrets, and when it’s over you can relish the fact that you successfully accomplished your goal. That you, alone, did it. Because no one else could have done it, they didn’t know everything. Being “in the know” is a symptom of a sick organization. I’ve seen businesses, organizations and churches that suffer from this sickness. People who work there may know that something is going on, but they have no details, no participation, and no personal investment. If you want “buy in” from your staff, volunteers and members, don’t treat information like power. Cooperation is power. You want to get something done? Talking and working together gets things done. Adding more people to the pool will exponentially increase your abilities. Transparency breeds trust. You want people to buy into your organization? Be open. Obviously, there are times when information is sensitive, and has to be handled with care, but that should be the exception and not the rule. If there are hard decisions to be made, letting the people who serve with you know about it is a good thing. It helps them understand what is happening, so that when the decision come down they are not surprised. Hiding issues promotes an environment of fear and distrust. People feel secure when they know what’s going on, even if what is going on is bad. The more you can tell people when you can, the easier they will trust you when you can’t tell them everything. Communication breeds cooperation. You want people to help you accomplish something? Talk about what you need and why you need it. When people know the end goal, they can all work toward it. If they only know part, they will tend to keep their focus small, even to the detriment of the overall project. Put two canoes in the water with three paddlers in each. 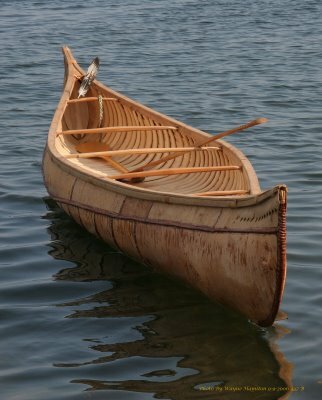 Tell both groups to move their canoe to the other side. Tell one group to work together, and tell the other to each find their own rhythm. Which do you think will reach the other shore first? Having been in similar boating situations, I can tell you the boat with everyone pulling together will make better time than the one with everyone doing their own thing. That’s not to say those paddlers are not paddling with all they have, they are just not working together. Some of the strokes are going to cancel out another’s effort. There will be splashes and distractions. There may even be moments when the canoe veers from its course. Getting everyone to pull together for a common goal rather than simply focus on their own piece of the project will make the whole group more efficient. Cooperation generates synergy. From synergy you get forward motion. Cooperation gives you the freedom to accomplish more. It is cooperation that brings real power, not information. So the other day I told you what I would like to have seen in the WWDC Keynote. Now that it is over and the dust has settled, I wanted to touch on what was revealed. No huge surprises, except the price. Wow, $29.99 for all authorized computers. Very nice. Only 4GB? Is that an upgrade only or is it an entire system size? I love Spaces, so I figure I’m going to like Mission Control even more. I am ready. let’s do this. I just hope my production applications don’t get too broken. Not out until July. Notifications and reminders are awesome. Not customizable very much, but the location reminder thing is going to save me a lot of headaches. Sync over wifi is also going to be very nice. Nothing about needing a time capsule, which makes sense. Delta upgrades are going to be huge for people who use large apps, like Infinity Blade and navigation apps with map data. Wireless mirroring to the Apple TV will be huge. Fall release. The option to back up over the cloud, and even go without a PC completely is appealing. Where is the actual music streaming? I am glad I can store stuff in the cloud, and I get that most people would over run their data limit pretty fast and the carriers would be screaming. But I’d sure like at least wifi streaming. My hope was to have streaming access to my music (and video!) without having to store it on my local device. Handy that I can be out around town and download a song, but I still like the Amazon stream when I want feature better. Without actual streaming, I don’t think I will have a huge use for iTunes Match. I’m trying to get my head around the benefit, except that I won’t have to store music on my computer? Also, what happened if I let my iTunes Match service lapse? Do I lose access to that music? I’m guessing this is just another part of the whole ‘Post PC” world thing. 5GBs of free storage is cool, but you can run through that fast enough. Even though actual apps don’t count against it, app data does. So my GPS app’s 1.8 GB of map data is a big chunk of that 5GB. iTunes in the Cloud beta is available for everyone right now. And all of your iOS device store apps have been updated with “purchased” sections where you can already download any song or app you have bought before. Just upgrade to iTunes 10.3. I was surprised that there was absolutely no hardware mentions. Maybe we will see a new iPhone closer to fall when Apple normally updates the iPod lineup? Overall, much of what people expected was revealed. Some things were a surprise. I am eager to get my hands on Lion and iOS5. WWDC Keynote: What Would I Like? On Monday Steve Jobs is scheduled to deliver a keynote during the WWDC, 10 AM PST. (That’s 1:00 Pm EST for us East Coast people.) Apple has indicated that this address will be completely about software. It will be concerning Lion, iOS 5, and the new iCloud service. If I had my way, what would we hear on Monday? Last year Apple lifted the lid on its latest OS, Lion. They showed off a lot of features that had been influenced by the touch interface they pioneered with iOS devices. There are rumors that this will be a very inexpensive upgrade, and may be available through the Mac App Store. I am pretty stoked about the touch integration. I have my track pad ready to go. I just need to not to be so different that it breaks all my production applications. I think this will be available, in whatever form and price, the same day of the event. Apple needs to make a few improvements here. iOS is still a great operating system, but competitors have been gaining. Supposedly Apple is completely reworking the widgets and notifications system. That is one of the major gripes people I know have about the iPhone. Android users can do all sorts of custom interfaces, but Apple has us in a very tight box. I’m used to that box, but wouldn’t mind a bit of room. I would love the ability to change up the lock screen. A few more options on how notifications work would be great, as well. Having just gone through this, I’d like for them to address the way you move iOS devices from one machine to another. I just upgraded my laptop, and after syncing my devices and reloading them, all of my folders were gone. I still have not gotten everything back to normal. We will be waiting a couple of months for this to drop. This is the big one. I expect this won’t be ready to roll out for a couple of months but it won’t be too long because Apple really has had some pressure put on them by Amazon and Google. Neither of those cloud based streaming services are perfect, but they both offer some nice features. Apple will have to match those, and beat them, quickly. Unlike Amazon and Google, Apple seems to have landed most (or all) of the major record labels. This should pave the way for Apple to bypass the individual locker file system, so they can store one copy of most songs on a few servers, where we who have purchased the song can stream it. Of course, this would only work with songs we have bought from iTunes. Anything else, from music to pictures to video, would be uploaded and stored by each customer. I have been hearing a price of $20-25 annually, which is in line with the Amazon price structure. I expect songs bought through iTunes would be available for streaming without hitting whatever storage level you have. This should completely replace Mobile Me. There will be some levels of service that are free (like “Find my Phone”) and that may include a small amount of storage. Probably similar to Amazon’s 5GB level. At the very least it must be able to do what Amazon and Google can. I am a little excited about the possibility of an integrated iOS Cloud solution. I dropped to a 16GB model iPhone this last upgrade because I have a 64GB iPad. But with my apps and content, I sometimes find storing all my music on the phone difficult. But the interface with the Amazon cloud leaves a lot to be desired. I would love a seamless experience of listening to my music on the phone, whether from files stored locally or stored in the cloud. And, I would love to be able to stream video from the cloud to my Apple TV. Did I mention I have hundreds of GBs of videos? That ability would push me to buy a much larger storage plan. But, like many Apple services, I doubt this will be available day one. It’s time to move this device to an app based system. I would love to see a totally new operating system. One that borrows from Roku and boxee’s channel model. One where I can add or delete all sorts of online media content. With Airplay and iCloud as its centerpiece, users could set up Netflix, Hulu Plus, and any number of other channels. I don’t expect Apple to open it up to the extent that Roku has with private channels, but this is definitely a direction I’d like to see. Of course there will be one more thing. And I think it will be the long awaited iPhone 5 announcement. 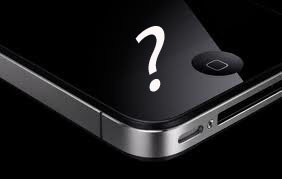 (Or will it be the iPhone 4S?) Announced Monday with a fall release date. Delayed by the entrance of Verizon this year, it’s time for the annual upgrade to the iPhone line up. It will be a sort of slide-grade. I think the new model will be 64GB max, with the same processor the iPad 2 uses. I expect an 8 megapixel camera, but probably still 720p video resolution. I don’t think we will see a huge change. Some have suggested a larger display, but that won’t be until the next model. Oh, and the antenna thing will be fixed. Unless, the old rumors of a smaller iPhone are true. Imagine an iPhone Nano, without much local storage, but tied to your iCloud account? Probably not, but iCloud does open some doors.